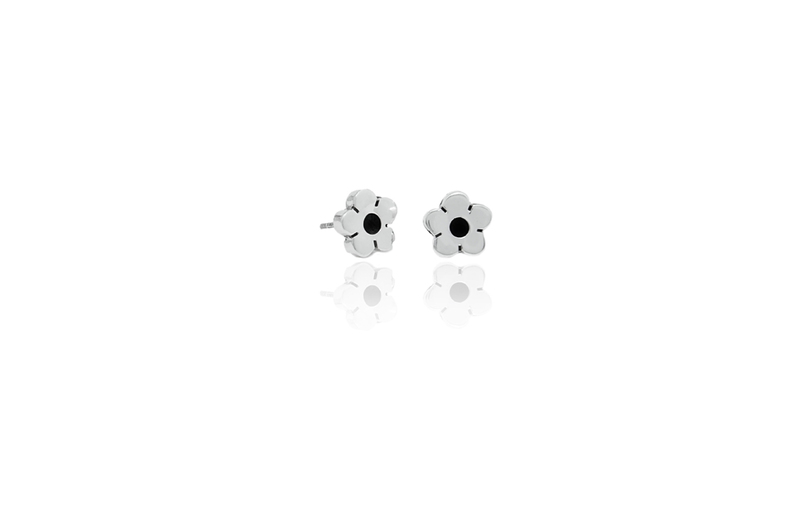 Ear studs "sharpened floweret" Sterling silver 0.925, nickel free, individually crafted in pure craftsmanship. Dimensions: Weight 0,75 g, Diameter 7 mm, Thickness 2 mm. The earrings "Florecita puntada", translated "sharpened flower" are made of high quality sterling silver 0.925, guaranteed nickel free and are manufactured in the Taller Ian in pure handicraft. They are suitable for all ages Taller Ian is made up of Francisco's family. Betty and Francisco are two young silver artist couple that have a very wide assortment of handmade and cute silver ear studs. They are our youngest artisans and have named their workshop after their son Ian. With his father help, they creat each single piece with great passion and dedication. Betty is the one in charge of selling their product at the market every weekend. In pakilia our primary goal is to give fair value to the work of artisans. The passion and love that each piece has is invaluable, but without a doubt we seek that each one of these pieces reaches the right person, who will give, the value it piece deserves. All our ear studs come with surgical steel earring backs and are therefore particularly easy to use and resistant to allergies. The jewelery is delivered by us in a beautiful pakilia jewelery case suitable for storing.